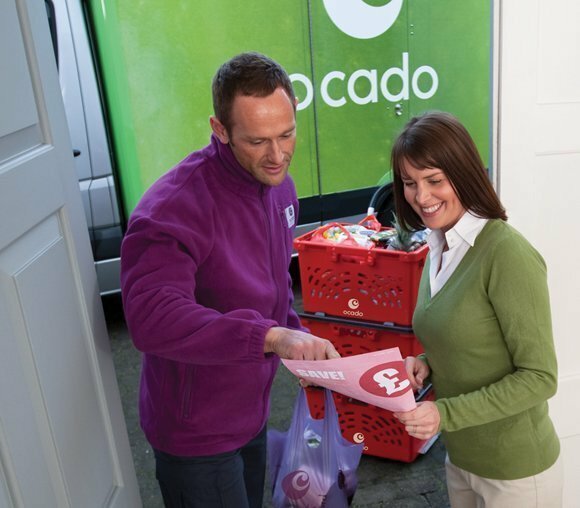 The worth of Ocado’s online supermarket technology was bought into question by broker firm Redburn, causing the retailer's share price to drop by almost 16% to 339.30p. After assessing Ocado, Redburn analyst James Tracey recommended investors to sell the company's stock, slashing Redburn's share-price target for Ocado from 500p to 257p. One of the reasons Redburn advised investors to sell is because it believes the intellectual property (IP) value of Ocado’s key technologies is not as high as the market had believed. Ocado is ahead of the game in online retail because it uses automated technology to select groceries in its warehouse, a process that Redburn estimates to be 2.5 times quicker than hand-picking in-store, as other supermarkets do. Much of Ocado’s IP valuation was based on its perceived uniqueness, but Tracey said this may have been overblown. Ocado owns just two patents, one for an automated bagging machine, and another that the retailer has not announced, but Redburn believes is for an inventory storage system, as well as a robotic system for moving containers around the warehouse. Ocado’s international strategy is not to set up similar grocery delivery operations overseas, but to license its patented technology through a cloud-based platform as a service (PaaS) model to other retailers across the world. But Tracey claimed previous financial analysts had overestimated the value of Ocado’s future business model. “Unfortunately, this design is not unique to Ocado,” he said. The report highlights automation solutions company Swisslog, which already supplies some automated e-commerce solutions to Ocado. Tracey said the retailer’s second patent is simply an “add-on” to Swisslog’s Autostore system, reducing the value of the technology that Ocado wants to sell around the world. Swisslog provides e-commerce solutions to 49 customers globally, including Asda, Swatch and Ocado. But Tracey noted that the company is worth only £158m – a figure that suggests the market value of the e-commerce technology is lower than expected, which means Ocado’s future worth should also be reduced. “This is not an exciting precedent when valuing the optionality of Ocado providing similar services,” he added. Tracey said Swisslog’s lack of earnings from retailers suggests that Ocado’s deal to run the online delivery operations for UK supermarket Morrisons is a one-off. Over a year ago, Morrisons signed a deal to use Ocado’s technology logistics and distribution operations to deliver online groceries. At the time, it was the only major supermarket that lacked an online grocery division, and had come under pressure to improve its multi-channel offering. “There is a significant possibility that the Morrisons deal was a one-off that speaks more to the desperation and decision-making ability of the Morrisons management team than any repeatable future value for Ocado shareholders,” said Tracey. Computer Weekly contacted Ocado, but the company declined to comment. Ocado’s director of technology, Paul Clarke, told Computer Weekly last year that the business saw itself as a technology company that “does retail”. Clarke said Ocado was researching the “Lego building blocks” for future applications that it could not buy off the shelf, including a robotic vision system to support automated item-picking. He said the firm spoke to research groups on European-funded projects, but chose not to partner university labs on the robotic vision project because of issues around ownership of intellectual property. Clarke said he wanted to keep the system that Ocado develops within the company, protected by patents, rather than see it published in a research paper.